Perfect your cell culture processes at every stage, from research and process development to large-scale biomanufacturing. The quality of our production cell culture platforms, including Thermo Scientific™ Nunc™ cell factory™ systems, Nunc™ roller bottles, and Nalgene™ single-use shaker flasks, reflects the rigorous standards that have made us the world's leading provider of cell culture products. For large batches of culture media, vaccine production, bulk media, and chemical storage. Increase cell expansion and product yield with Thermo Scientific™ Nunc™ PETG roller bottles. 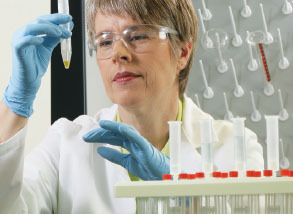 These bottles add assurance that valuable contents are safe during laboratory and industrial-scale applications. Obtain faster results and lot-to-lot consistency with Thermo Scientific™ Nunc™ cell factory systems. A proven solution for large-scale production of cells, vaccines, and therapeutic proteins, these systems have the same growth kinetics as laboratory-scale cell culture products. The ports of the system make it easy to customize and close, with custom tubing assemblies that facilitate venting, filling, and harvesting.